PUBLIC university lecturers on Sunday insisted that they would not return to the classrooms on Monday (today). They also accused the Federal Government of insincerity in its bid to resolve its dispute with the Academic Staff Union of Universities. The President of ASUU, Dr. Nasir Fagge, confirmed this on Sunday via a Short Message Service to an enquiry by The PUNCH. The Federal Government had through the Executive Secretary of the National Universities Commission, Prof. Julius Okojie, deferred its earlier ultimatum to the lecturers to resume work on Monday (today) or risk being sacked. The shift was to enable them to participate in the burial of Prof. Festus Iyayi, a former president of ASUU on Saturday. Before this , the Supervising Minister of Education, Nyesom Wike, had advised the striking lecturers to return to work on or before December 4 or face dismissal. But ASUU had in a news bulletin to its chapters after its meeting in Ekpoma, Edo State on Sunday, said the Federal Government had not met its conditions for suspending the over five months’ strike. ASUU had in the bulletin insisted that the government threat to sack its members would not break the union’s resolve to pursue its action to a logical conclusion. A source privy to the meeting, said, “No Jupiter will force us to go and teach until all the agreements are documented. The Federal Government is not sincere. If indeed the authorities have agreed, why will they be afraid to document what has been agreed upon? The ASUU National Treasurer, Dr. Ademola Aremu, who also spoke with one of our correspondents, confirmed that the lecturers would not return to work until the government met their demands. He said, “Our position has not changed because we are still on strike. When we met President Goodluck Jonathan, we had a number of agreements but when the Presidency communicated to us, we noticed some gaps. We have written to the government on our observations but up till now, it has not responded. “The only response from government representatives was the accusation against us that we are making new demands. This was after the letter we wrote to the government was exposed to the whole world. Aremu also accused the government of inconsistency with the shift in ultimatum, noting that it was playing politics with the death of Iyayi. On government’s claim that it was ready to pay salaries owed the striking teachers who returned to work, Aremu said the decision was a part of the ploy not to make things work in the education sector. He said, “We are still waiting for the government to respond to our letter; until that is done, the strike continues. He said lecturers in the school would stay away from the classrooms since the NEC of ASUU had yet to suspend the strike. The Senior Special Assistant to the President on Public Affairs, Dr. Doyin Okupe and Okojie , had last Tuesday, claimed that the Federal Government had deposited the N200bn promised as funding to universities in an account with the CBN. But the Special Assistant (Media) to the Minister of Education, Simeon Nwakaudu, expressed optimism that many lecturers would resume work today. 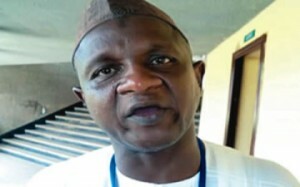 Meanwhile, the Acting General Secretary of the Nigeria Labour Congress, Mr. Chris Uyot, on Sunday, said the leadership of the NLC would hold a crucial meeting with the leaders of ASUU on Monday (today).